Lights1 or 2 F48T12, F60T12, F72T12, OR F96T2 lamps- 120 Volts. 11-9/64" Mounting. KEYSTONE BALLAST KIT 18 W 4 PIN CFL. KEYSTONE BALLAST KIT 26 W 4 PIN CFL. 2 lite 22W and 32W or 32W and 40W, circline ballast with sockets. Lights One F30T8 (30 Watt) Or F40T12 (40 Watt) Fluorescent Tube. Preheat Lamp - 120 Volts. 6" Mounting. Lights One F14, 15, 20 Or 22 Watt T12 Fluorescent Tube. Preheat Lamp - 120 Volts. 2-3/4" Mounting. Lights Two - F48T12 Or F40T12 Fluorescent Tubes. Slimline - 120 Volts. 8-57/64" Mounting. Lights Two F15T8, F15T12 Or F20T12 Fluorescent Tubes. Trigger Start 120V. 6" Mounting. Lights One F-14, 15 Or 20 Watt T-12 Fluorescent Tube. Rapid Start - 120 Volts with Thermal Protection. 6" Mounting. Lights One F30T12(3') Or F40T12(4'), 30 Or 40 Watt Fluorescent Tube. Rapid Start - 120 Volts with Thermal Protection. 6" Mounting. Lights One 12" 32 Watt Or One 16" 40 Watt Fluorescent Circline Tube with Thermal Protection. 6" Mounting. 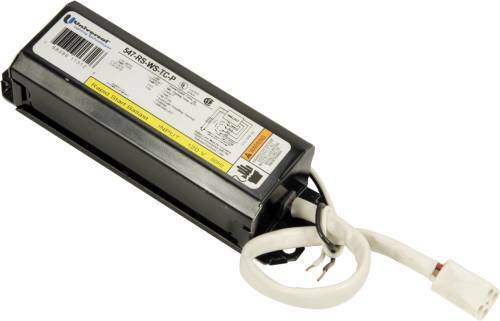 FLUORESCENT CIRCLINE BALLAST 22 WATT 8 IN. KEYSTONE MAGNETIC BALLAST 13-22,WATT, 2PIN. KEYSTONE MAGNETIC BALLAST 5, 7, 9,WATT, 2PIN.